If some of your favorite foods were called by their real names, would you actually eat them? Let’s find out as you go through our list of some of the most popular foods and their real names (plus what they’re really made of or what animal part they came from). The fancy French name Foie Gras literally means “fat liver” as it is actually taken from force-fed ducks or geese. But not all foie gras comes from force fed bords as some farms also let their ducks go fat naturally. You got it right. These breaded and deep-fried morsels of yum usually dipped in sauce are actually bovine gonads, and they are usually that of younger bull calves. The blue in this cheese is not food coloring, it is actually mold. And that is how cheese is made, if you don’t know that yet. These fried or baked delicacy don’t always come from a pig. In other countries, intestines from sheep and cows are also used. This is an incredibly rare and really expensive spice that is derived from the flowers of the Crocus Sativus. After the flower’s stigma and style, which is the reproductive organs of the flowers themselves are harvested, it is then dried and used all over the world for cooking. This is a classic Pennsylvanian Dutch breakfast. It is made of unused parts of a pig called offal and mixed with cornmeal or flour and shaped to look like a loaf. It is deep fried before being served in individual pieces. This is the flower buds from Capparis Spinosa. It is distinctively flavored and often used as a topping. Before being packed in brine or salt, it is first sun-dried. You can have it any way – salted, cured, smoked or aged. Either way, it is all pig belly and admit it or not, it is highly addictive. They take the edible digestive tracts of some snail species, which are then purged and later on killed. 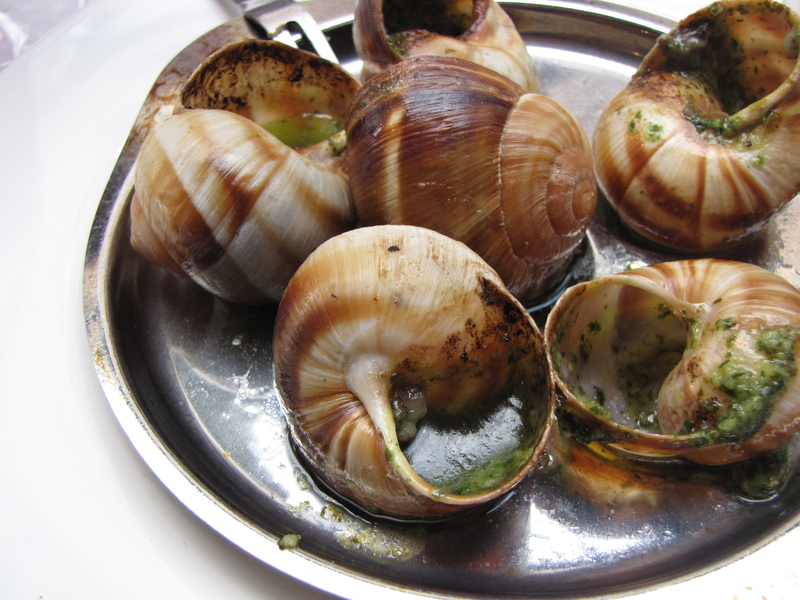 It is then cooked by loading it with butter and garlic before it is crammed back into their shells and served in a fancy plate. You can have it any way – whether it is beef, pork or lamb. A lot of cuisines all over the world actually use animal stomach in some of their tastiest delicacies. Most gelatin is an extraction coming from the natural collagen that is typically found in the leftover carcasses of domesticated animals. And typically as well, gelatin is used in a sheer variety of products. This is not bread, nor is it sweet at all. It is actually made of the thymus or pancreas of animals such as calves, lambs, pigs and cows. 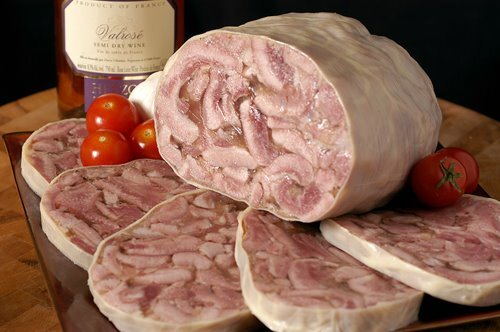 How to make Head Cheese: get hold of the whole head of your favorite animal, boil it with some vegetables and your favorite seasonings. After it is all soft and mush, strip the head of all its meat and then let it sit. Soon, the natural collagens of the meat will turn it into a jelly then you can start forming it into any shape you want. This is a traditional Scottish dish and made entirely of a sheep’s heart, liver and lungs. It is also seasoned and flavored with onions and many other seasonings and stuffed into a casing, which is often traditionally coming from the animal’s stomach. This suspiciously delicious mildly fizzy drink is made from the symbiotic culture of bacteria and yeast that is called SCOBY. How it’s done is it is thrown into a container, poured with tea and fermented for a while before being drunk. Veal typically comes from cows, but most often than not it comes from animals that are under a year old, some even as young as a few days old. You might think that hotdogs are mainly just casings of ground meat. Well leftover meat, really. If you throw in a very specific type bacterial culture into milk, it will result into the fermentation of lactose and the production of lactic acid. This is what also gives it its yogurty tartness. This is simply an uncooked hamburger patty, if you will, complete with the required seasonings and garnished and to continue with the raw factor, often topped with raw egg yolk as well. This tasty and really salty sauce, used mainly in Asian cooking, is made by packing fresh fish and lots of salt into a box where it is left for months to ferment. After the fish becomes hydrolized, their yummy salty fluids float on top, which is then collected and bottled. During the cheese-making process, it often leaves both curds (solids) and whey (liquids). Cottage cheese curds are often not pressed, giving it that soupy texture compared to many regular cheeses. This is a traditional Korean side dish. It is made up of a mixed variety of chopped vegetables and placed in jars to be fermented.